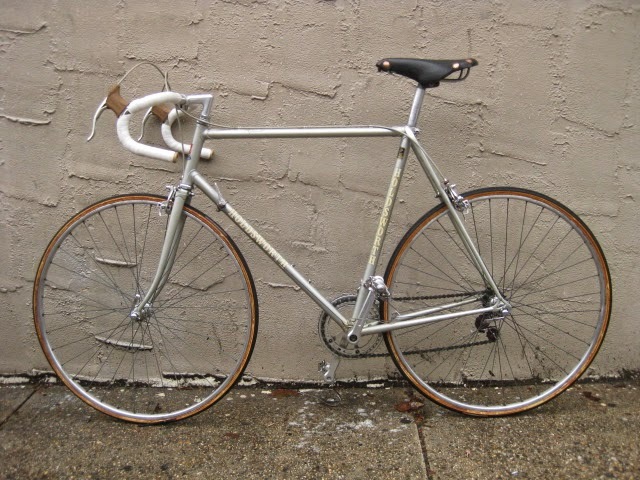 This is another excellent road bike offered for sale here today. 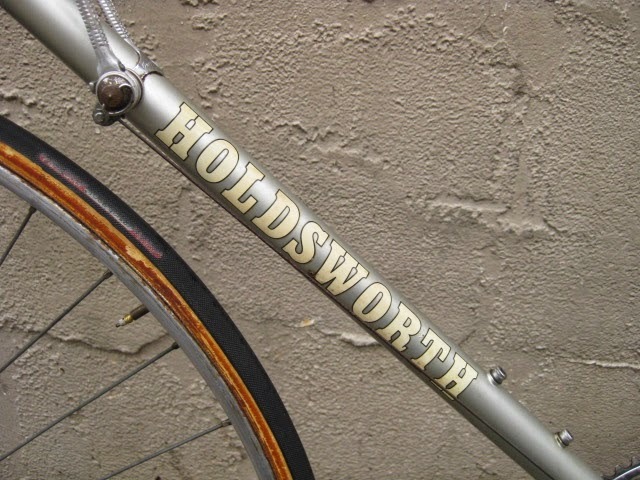 It is an early 1980’s Holdsworth Professional built with a mixed bag of components. 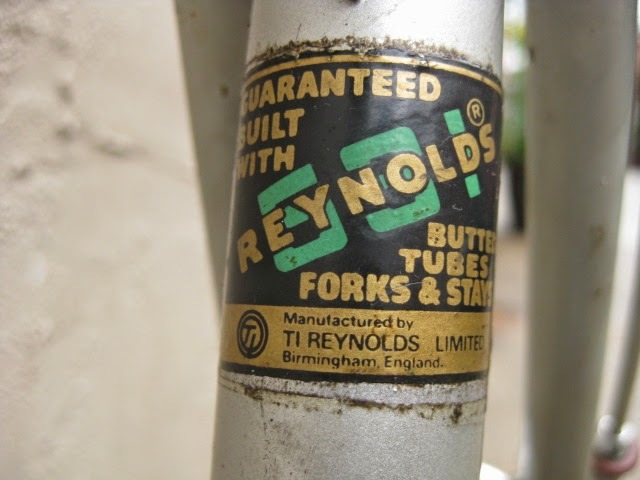 It is built with Reynolds 531 double butted tubing and fork blades and Campagnolo drop outs and fork tips. 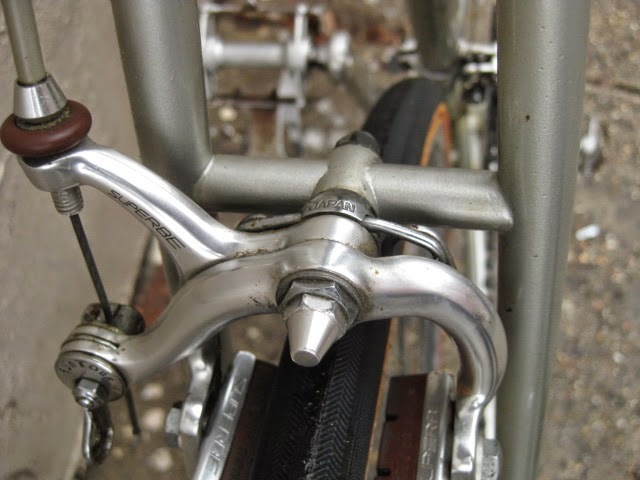 The rear drive side drop out is drilled to accept the Campagnolo Porta Catena system, so that alone dates its production. 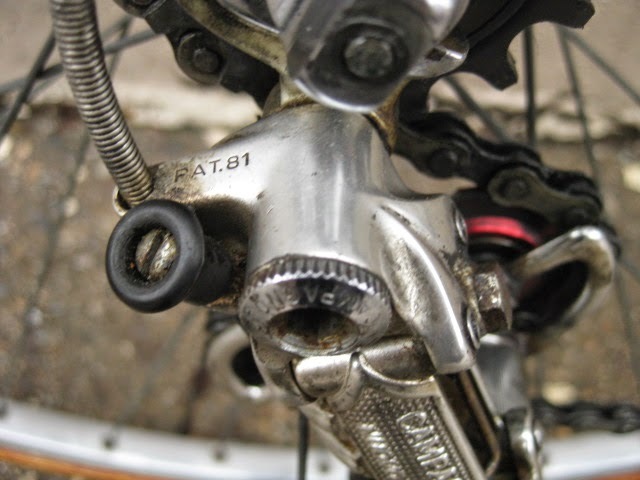 That system was only available around 1981- 1983. 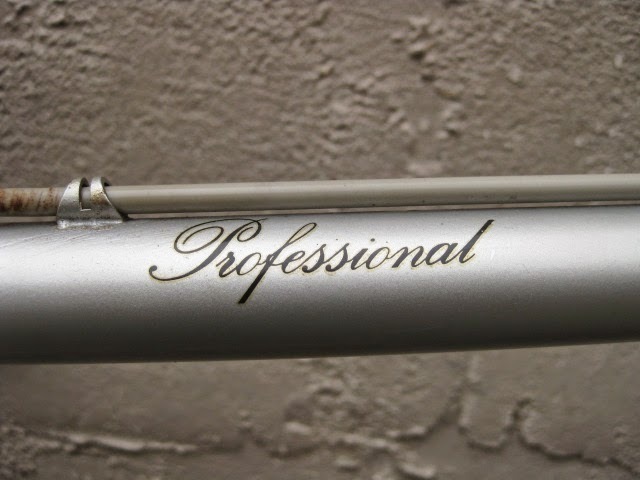 The original decals are near perfect and the silver paint is nearly flawless. 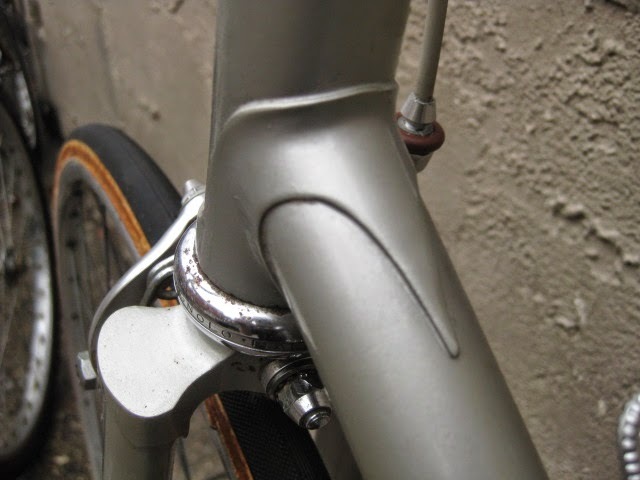 It reminds me of the classic Cinelli silver color, which aside from Molteni orange is my favorite color on a bike. 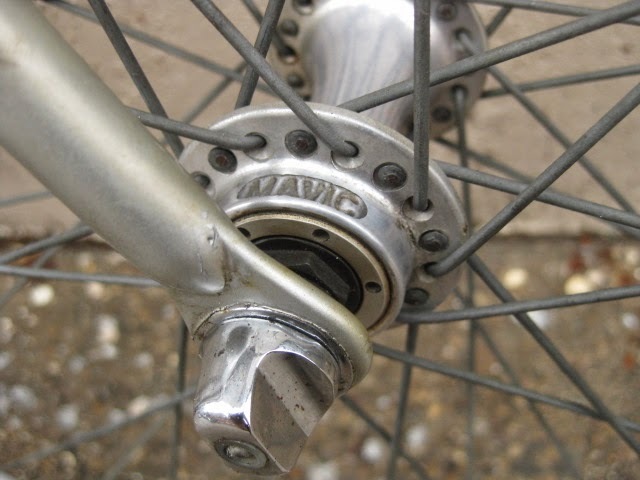 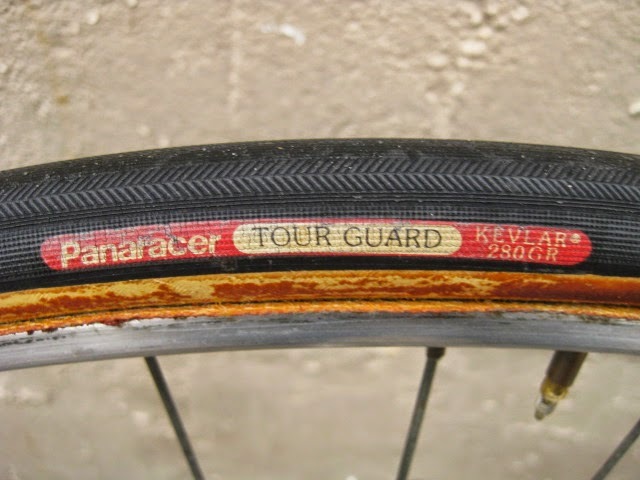 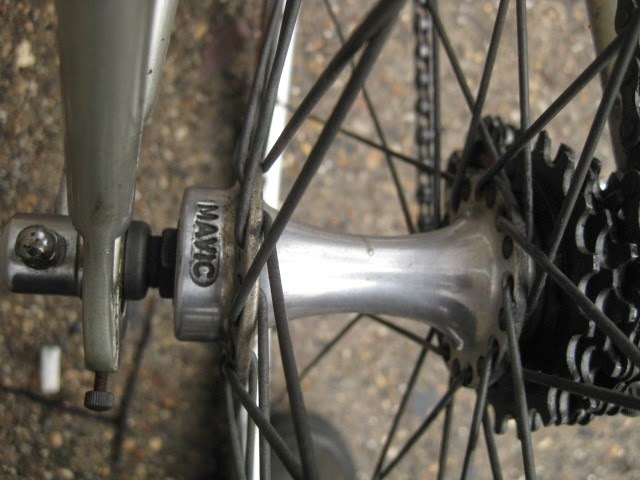 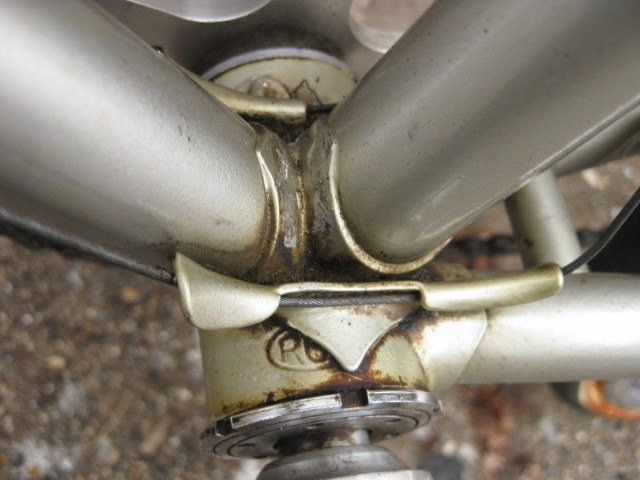 Mavic road hubs laced to unknown tubular (sew up) rims with Panaracer tires, they hold air. 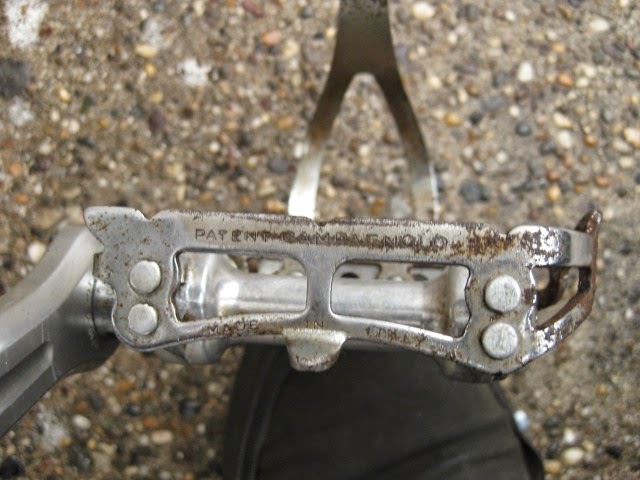 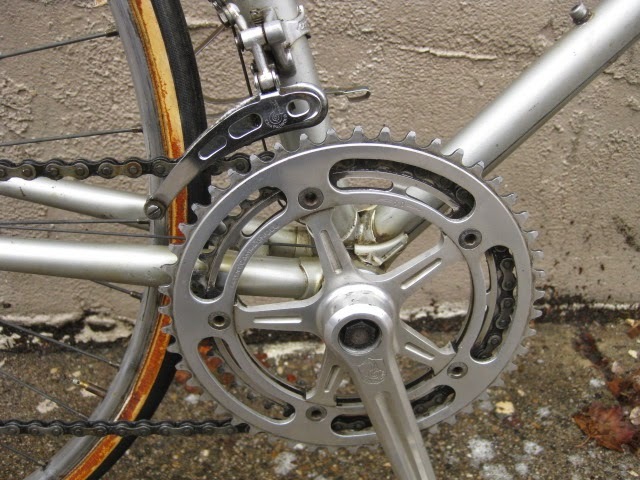 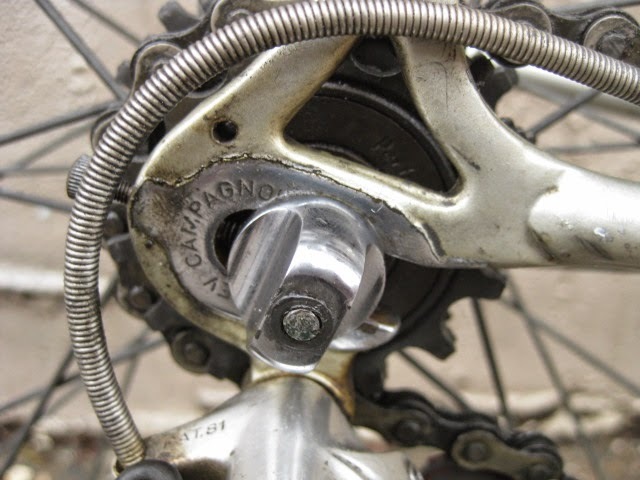 Campagnolo NR rear derailleur (pat. 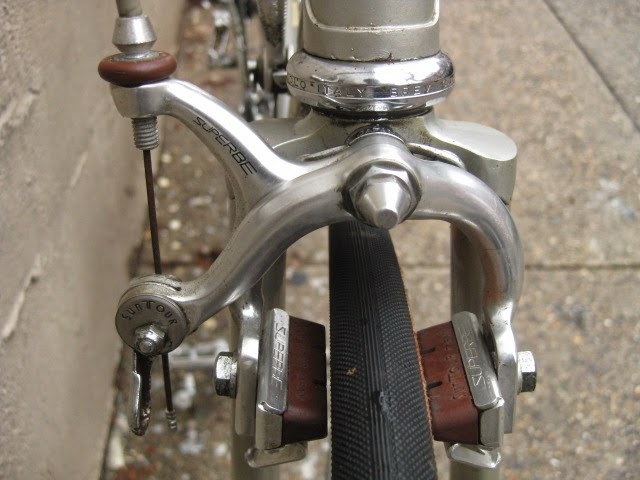 81) has red Bullseye pulleys. 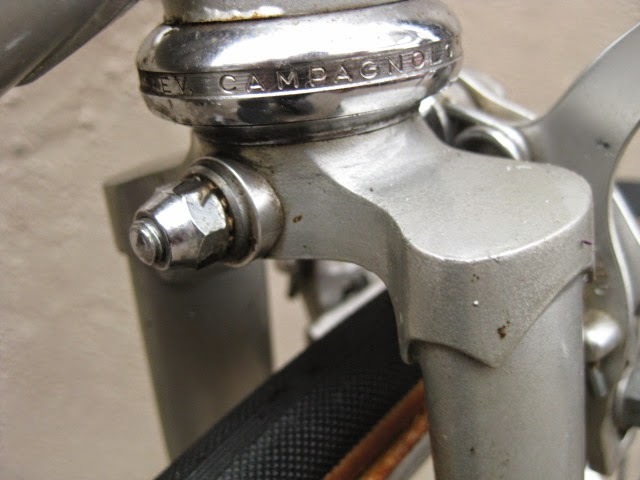 Campagnolo NR crank set (date code 82) and Campagnolo NR bottom bracket. 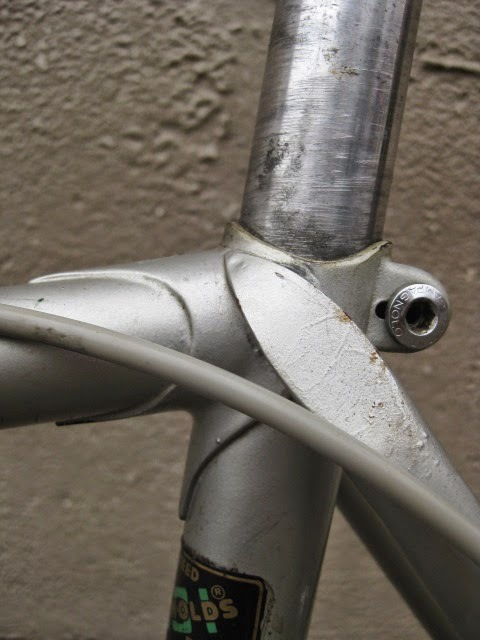 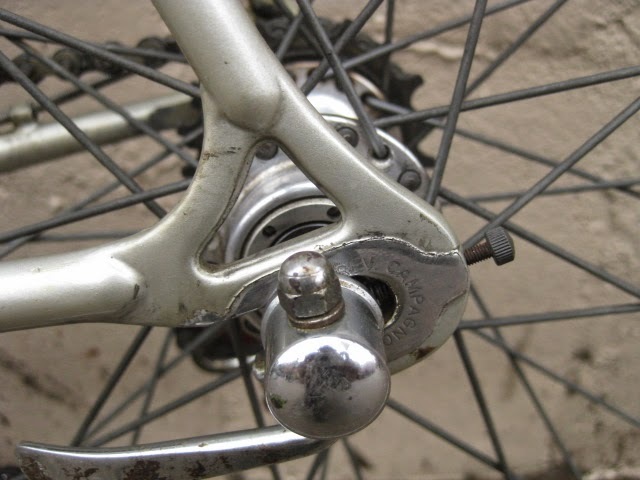 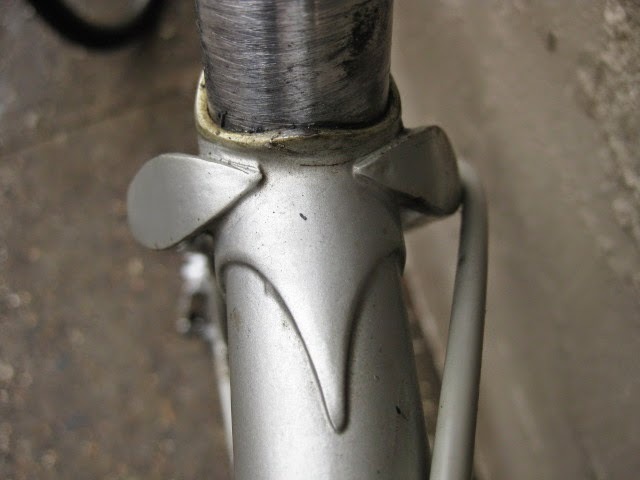 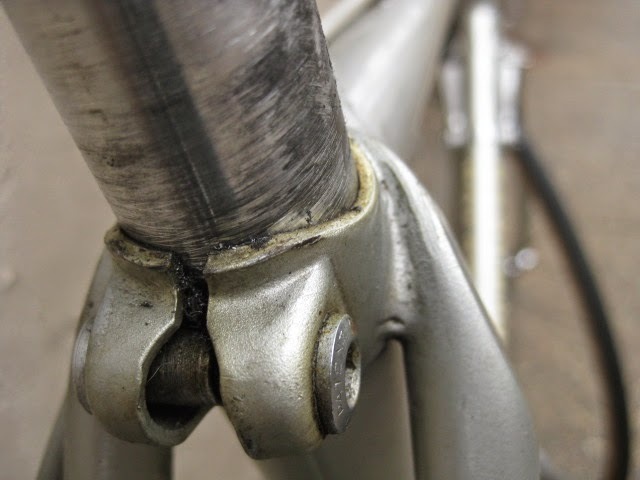 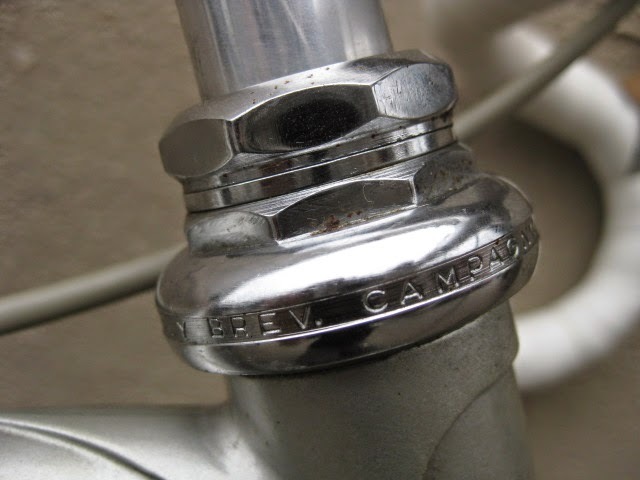 Campagnolo clamp on down tube shifters. 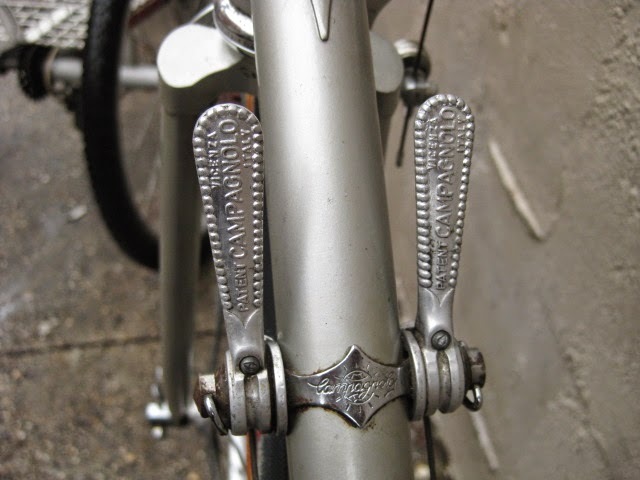 Suntour Superbe brake calipers and levers. 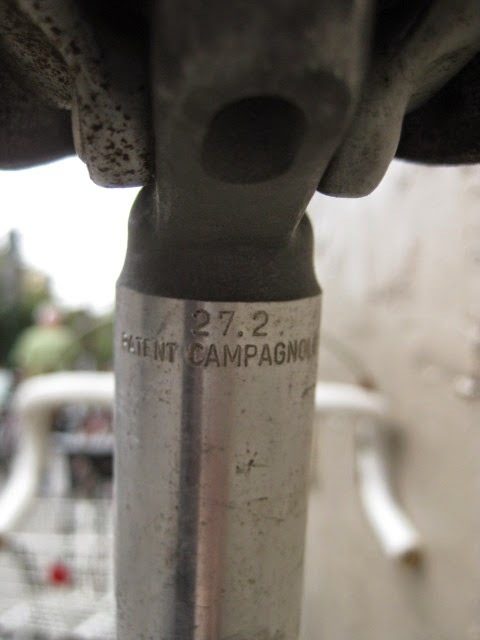 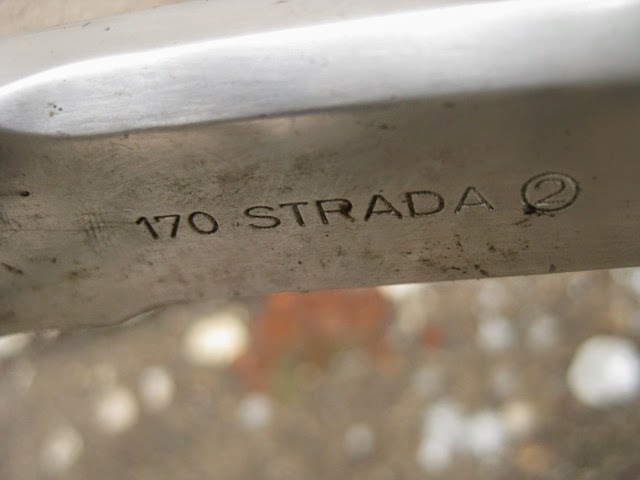 Campagnolo NR seat post 27,2. 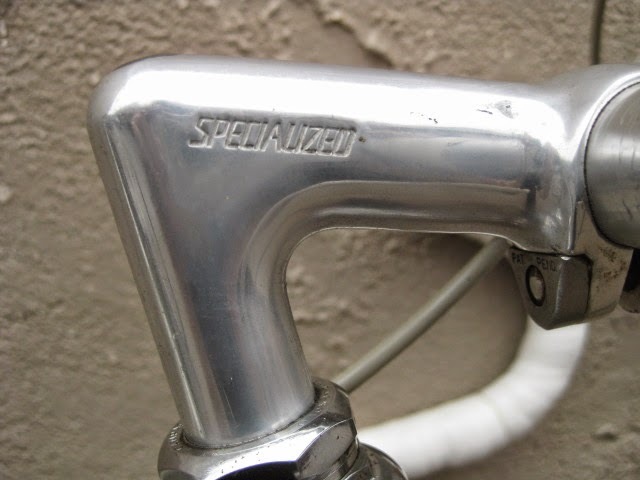 Specialized bars 42 CM CTC wide and Specialized 80mm extension stem. 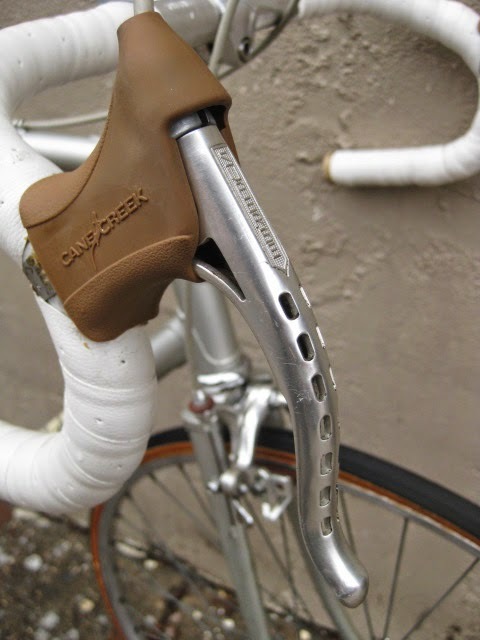 White padded bar tape with Velox bar plugs. 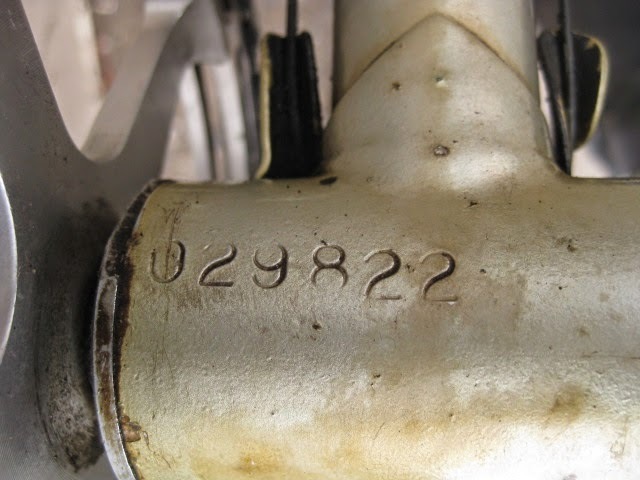 The bike is in ready to ride condition. 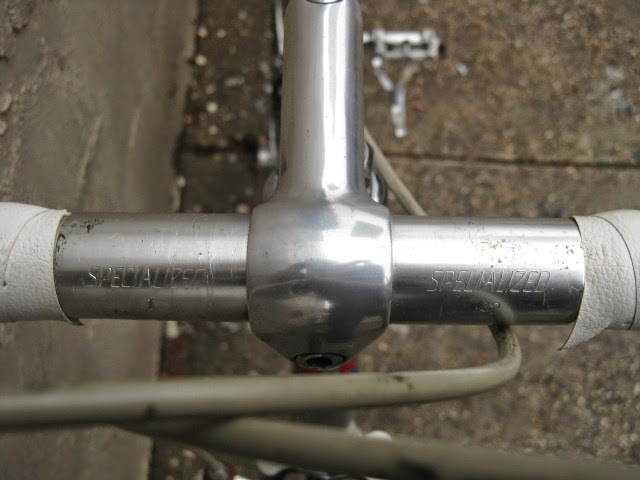 I gave it a brief, aggressive test ride, and it feels great! 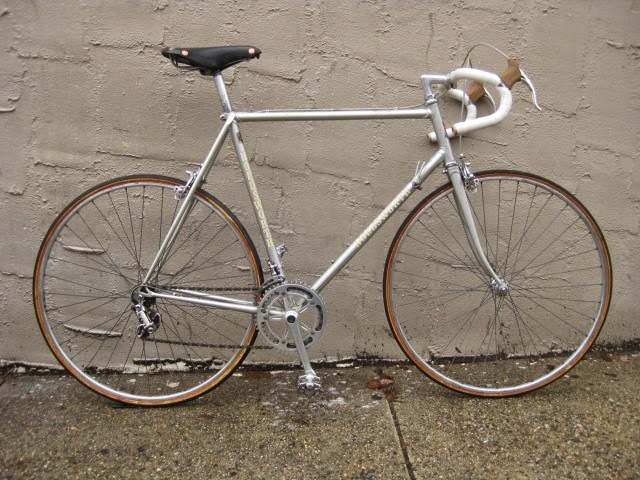 Very responsive and great handling bike. 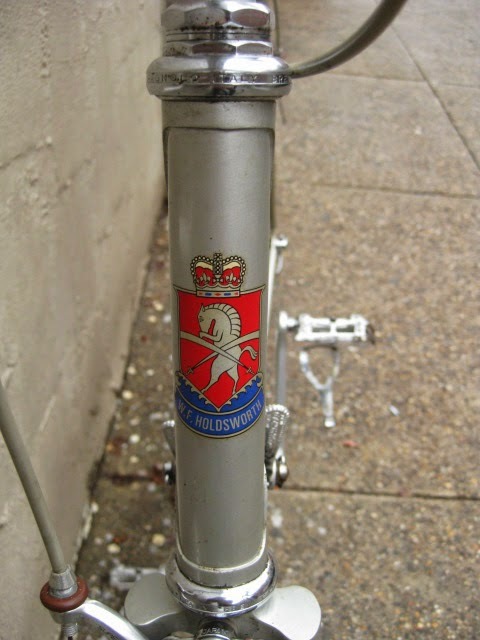 please email: bikeville@gmail.com for price or with questions. 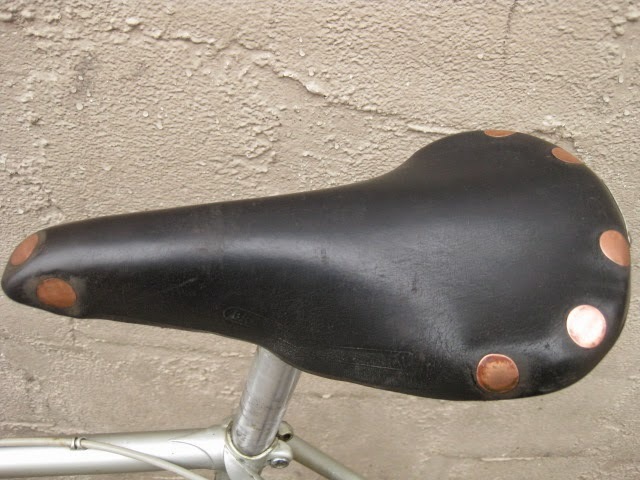 buyer pays actual shipping cost. 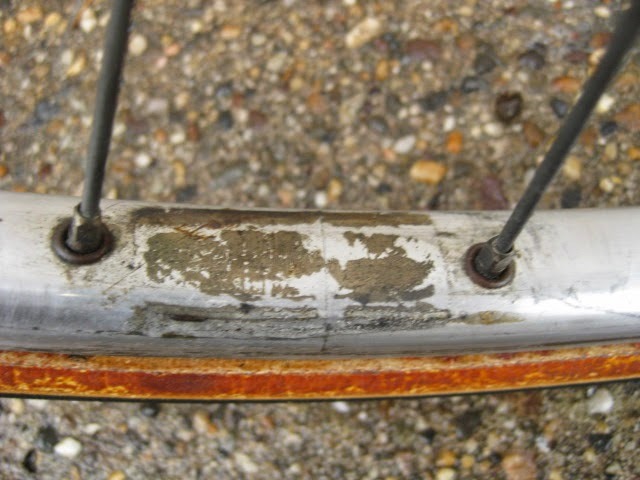 Local pick up is fine or we can deliver to upcoming swap meets in Tuckerton, NJ or memory lane. 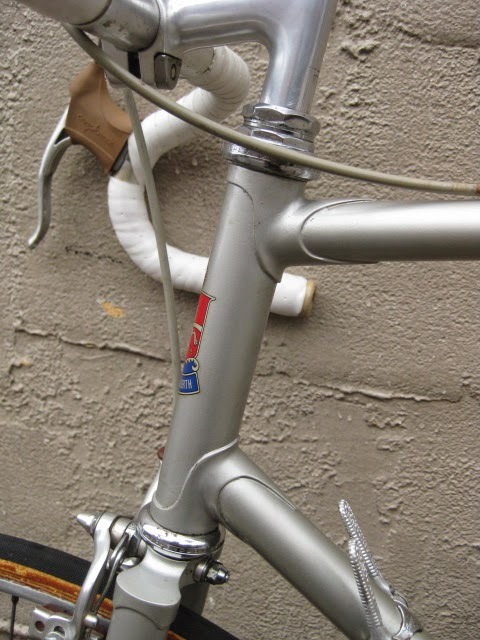 For Sale: Masi USA built frame and fork serial # 0242 circa 1975 59.5 CM Gran Criterium model?